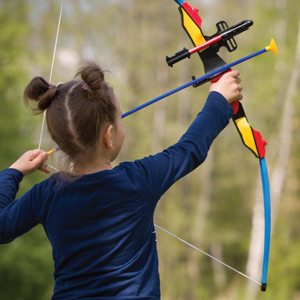 Across age groups and genders, many say that fictional archers in film and television influenced them to take up the sport. Robin Hood (23.2%) was the fictional archer most mentioned as having “a lot” or “some” influence, followed by Katniss Everdeen from The Hunger Games (14.9%), Legolas from The Lord of the Rings franchise (14.1%), Princess Merida from Disney’s animated film Brave (11.9%), Hawkeye from The Avengers franchise (9.4%), and Green Arrow from the Arrowtelevision series (8.9%). Dr. Caroline Heldman, Associate Professor at Occidental College in Los Angeles, California, conducted this study. Additional findings and detailed methodology in full report.